Assam Don Bosco University has a very committed, professional and dynamic set of Faculty members who accompany the students as teachers, guides and mentors. The University has 229 faculty, out of which there are 132 PhD holders, 97 Master Degree holders, 150 regular and 79 adjunct. 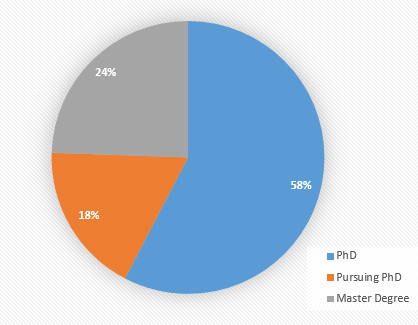 There are 48 Professors, 49 Associate Professors and 132 Assistant Professors.